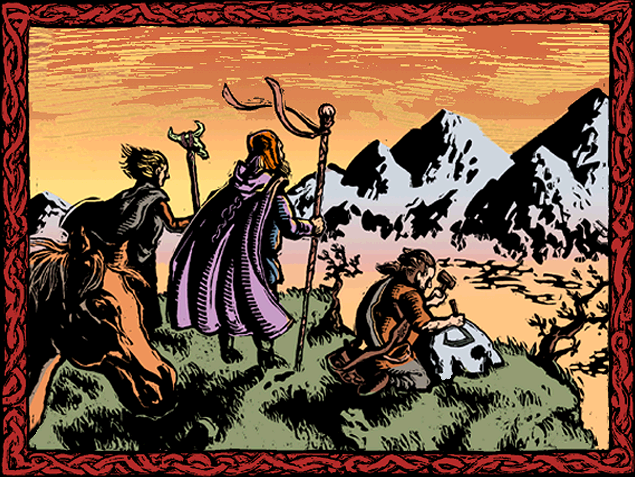 Most of the people who said "Yes" to the dragons moved to Dragon Pass, a land to the north of our home, Heortland. We stayed in Heortland, and it was a good thing, too, for a little over two hundred years ago, the dragons rose up and ate everyone who lived in Dragon pass. They ate the Orlanthi along with all the other foolish human dragonfriends. 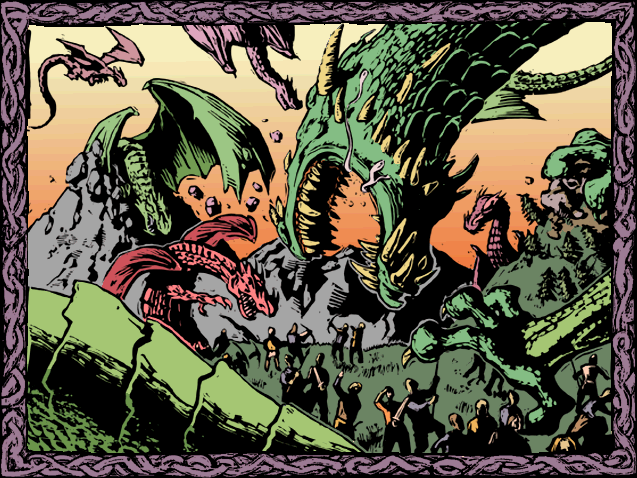 For a long time, no humans went to Dragon Pass; everyone was sure the dragons would eat them, too. And just think, now we'll be expected to be buddy-buddy with the dragons all game! Aren't we just wonderful? 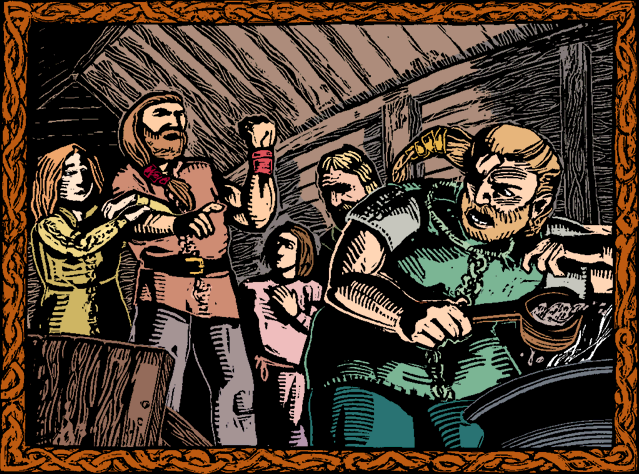 Recent events in Heortland made us think twice about the abandoned land of Dragon Pass. A generation ago, an usurper who called himself the Pharaoh came to Heortland and started a civil war. Our clan was one which broke into disputes, sometimes violent, about whether to support the Pharaoh or not. In the end, our group of dissidents decided it would be better to risk the dangers of Dragon Pass than to stay and kill our own kin, which is the greatest sin an Orlanthi can commit. The dissidents unable to live under the Pharaoh would come northward to Dragon Pass. People of similar beliefs from other clans had already made the same decision, and settled lands there. So we made a new clan, and made it a Balanced clan, just as our ancestors had done in the time of King Heort. Our new clan made the dangerous trek to Dragon Pass and selected a place to live. Like the other Orlanthi refugees from Heortland, we settled in Quiviniland, a mountainous area in the southeastern quadrent of Dragon Pass. We would call these lands our home, or tula. Tradition required that we make a formal land claim. -Enough land for our people and herds, no more. -More land than we needed, to grow into. -Lots more than we would probably need. -Huge tracts, far more than we needed.